The area is home to turtles, crocodiles and abundant fish and bird life. Fronting the serene lake, Villa Cobá is situated on the edge of the village of Cobá only a 10-minute walk from the archeological site. 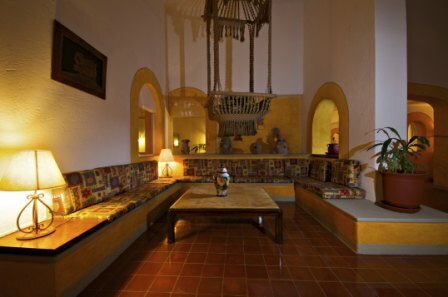 The villa is accentuated by richly-colored tile flooring, authentic Mayan statues, and Mexican pottery that blend together to create a native-like ambiance. Despite its current-day tranquility, Cobá was once an important Mayan town, with 50, 000 inhabitants. The Cobá archaeological site is the only one in Mexico that tourists can visit either on foot or by bicycle. 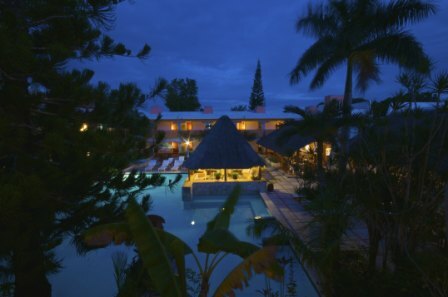 The 40 guestrooms at Villa Cobá surround a refreshing pool, a thatched roof patio area, and lush foliage, all of which add to the hotel’s sense of seclusion from the rest of the world. 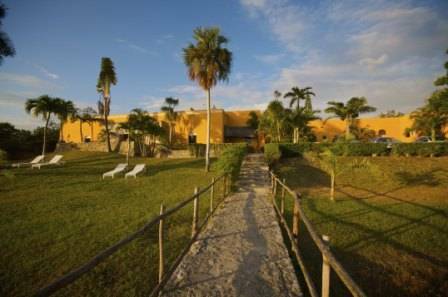 Villas Arqueológicas are characterized by the well-being and relaxation offered by our staff throughout your stay. 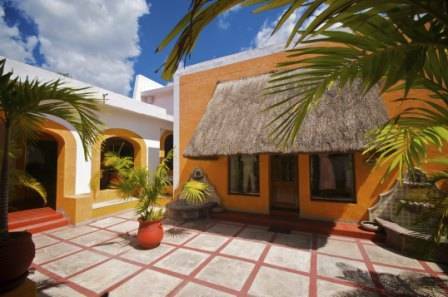 Our 40 standard guestrooms , each beautifully decorated in a traditional Mexican style, feature all the necessary services for a truly pleasant stay in an amazing natural environment. Each standard guestroom offers one double and one single bed, 250 square feet of space. Villa Cobá is located on the shores of a tranquil lake nestled in the heart of a lush jungle. The area is home to turtles, crocodiles and abundant fish and bird life. The Villa is just a 10-minute walk from the archeological site, and across the lake from the village of Cobá. 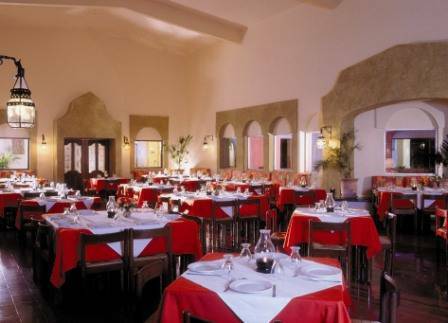 From 7:30 a.m. to 10:30 p.m. you can enjoy delicious regional cuisine on the terrace, or in the interior of our warm and welcoming restaurant decorated in rich Mexican colors and textures. Try our exquisite cocktails. Open from 8:00 p.m. to 10:30 p.m.
Cobá is located 99 miles southwest of Cancun airport and 24 miles from Tulúm and the Caribbean Sea. Access from Cancun is provided via Highway 307 to Tulúm, connecting with Highway 5 to Cobá. Typical drive time is approximately two hours. The highway between Tulúm and Cobá is currently being widened. From the airport of Cancun or Merida, you can take a taxi or bus to move it to the ADO bus station in this company you can purchase tickets for travel on some of the comfortable buses that can be transferred to their destination.